Product Analytics use the prescriptive capabilities of AI and machine learning to make sense of customer behavior. By combining historical and real-time data into a unified central view, product analytics provides the data context needed to understand the customer journey and meet customer expectations. The holistic customer profiles that product analytics expose and the tailored data-based suggestions it makes empowers companies to make informed changes to products and strategies on a consistent basis. As an embedded analytics tool that automatically gathers, manages, analyzes and produces actionable insights, product analytics is an important contribution to a company’s product teams. With intuitive dashboards created with non-IT users in mind, product owners can utilize product analytics’ findings to support and direct a range of product-related processes, including marketing approaches, product design, and new product initiatives. While BI solutions that product analytics generate may have the most direct impact on teams developing or selling specific products, product analytics indirectly but significantly impact companies’ bottom lines. By automating the constant collection, management, and assessment of data, product analytics reduces the number of IT personnel companies need on hand. Moreover, by providing precise suggestions for improving practices and products, product analytics help products continually evolve to meet changing customer expectations and drive profits. 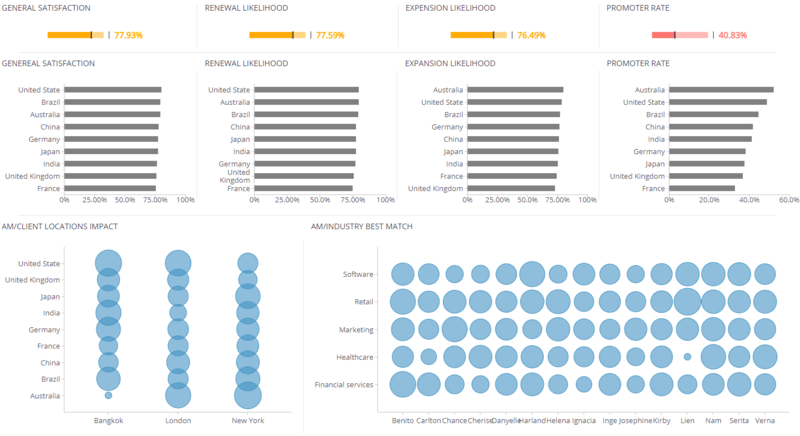 How Can I Use Product Analytics? The wide-lens customer insights that product analytics generate can have a profound impact on how companies at different growth stages and across industries approach problems and innovation. Fast food chains, for example, could use product analytics to aggregate and probe taste test surveys of new items to suggest which is most likely to become a bestseller. However, by blending in-store and online purchasing data product analytics can also provide fast food corporations with advice on enhancing the myriad of factors that can elevate the customer experience: the optimal times to sell specific items, best upselling techniques, how to improve drive-thru order taking and more. Currently undergoing a massive digital shakeup, the insurance industry can use product analytics to discover customer pain points within outdated, confusing systems. Insurtech providers can leverage product analytics’ prescriptive capabilities to help define the UX/UI, content, and capabilities of cross-device online insurance offerings. The automatic collection, sorting, and analysis of insurees’ interactions with the platform enables insurtech companies to adapt features and products in real-time, creating happier customer experiences and consequent buzz.